This past weekend, I was craving for some Pate a choux. I haven’t had any of these bad boys in so long. If I can remember, the last time I had this was on my wedding day, which was over five years ago. 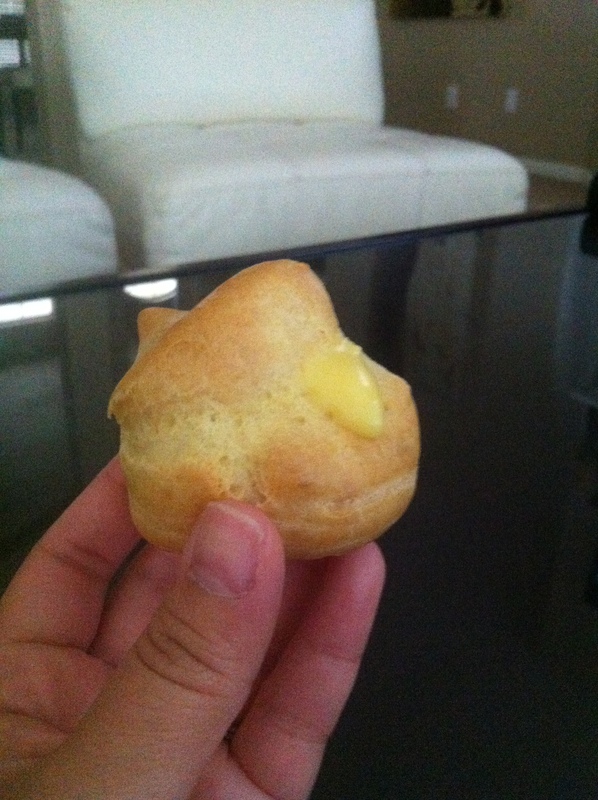 Since I’ve been working at home during the weekends lately, I decided to make my own Pate a choux. Pate a choux is a classic French, light pastry dough that is also used to make eclairs. Some people also make this into savory cheese pugs but I just simply like it as a dessert treat. I filled mine with vanilla pudding but I heard you can fill it with ice cream as well. These bad boys are so easy to make and yet delightful to the taste. Preheat the oven to 400 degrees. Bring butter, sugar, salt, and 1 cup water to a boil in a medium saucepan. Remove from heat. Using a wooden spoon, quickly stir in flour. Cook over medium-high heat, stirring constantly, until mixture pulls away from sides. Transfer to the bowl of an electric mixer fitted with the paddle attachment. Mix on low speed until slightly cooled, about 1 minute. 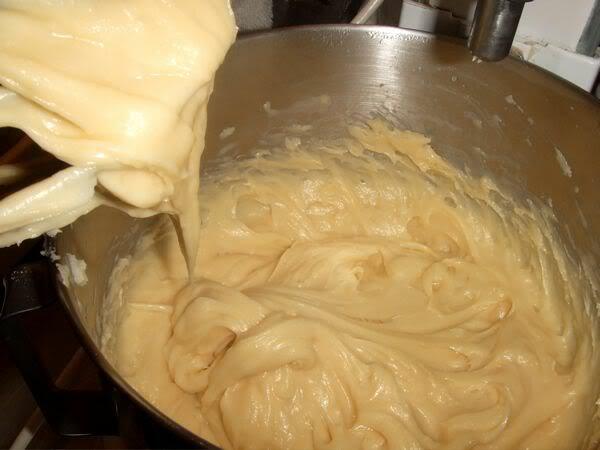 Raise speed to medium; add whole eggs, 1 at a time, until a soft peak forms when batter is touched with your finger. 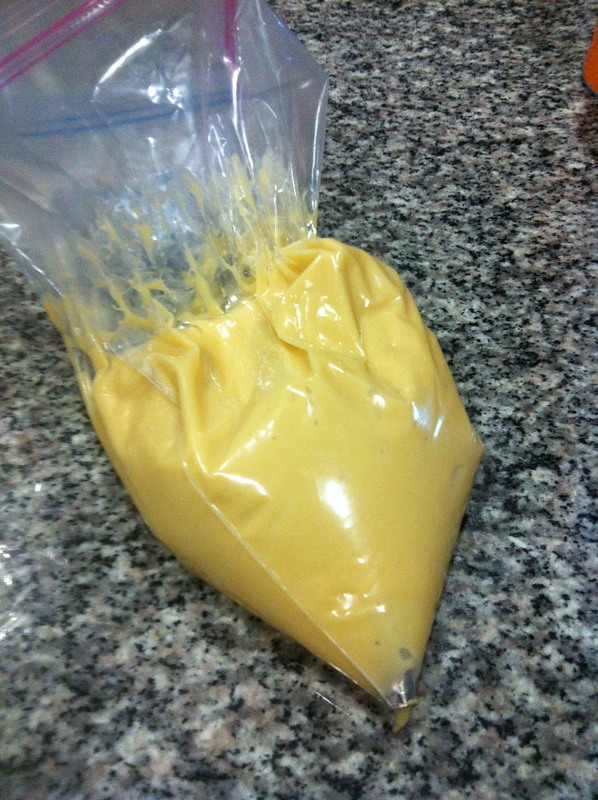 Transfer to a pastry bag or in my case a Ziploc bag with a 1/2-inch plain round tip. Pipe 1-inch rounds onto baking sheets lined with parchment paper, spacing 1 inch apart. Bake in 400 degrees for 10 minutes and then reduce oven temperature to 350 degrees. Bake until golden, 20-25 minutes. Transfer over to a wire rack; let cool completely. Puffs can be refrigerated in an airtight container up to 1 day or frozen up to 1 month. You can add any filling you like after this. I made sugar-free vanilla pudding. Ta Da! Now you got yourself, a delightful dessert. Enjoy! 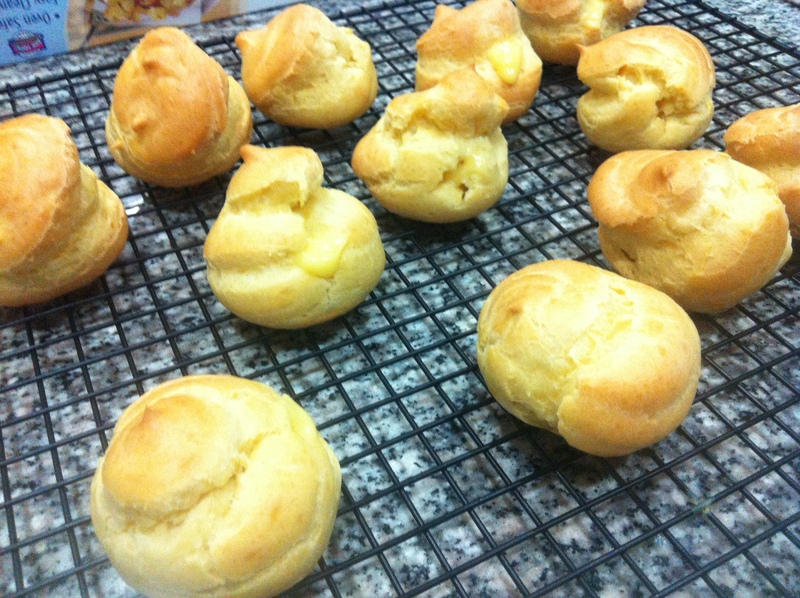 This entry was posted in RECIPES and tagged Choux pastry, cream puff pastry, Dessert, Flour, food, French, french dough, pastry bag, pastry dough, pate a choux, pate choux, recipe, vanilla pudding, Ziploc. Bookmark the permalink.